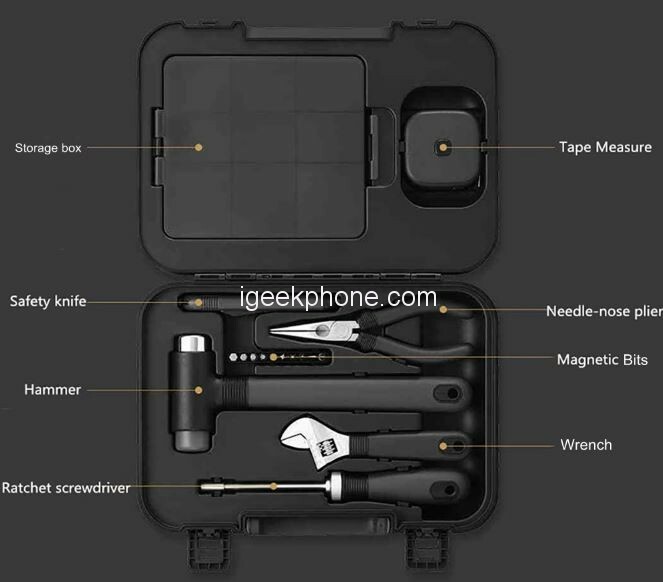 The XIAOMI MIIIW 16PC DIY Hand Tool Kit Toolbox with Screwdriver Wrench Hammer Plier All-in-one Toolbox contains products that meet the daily needs of all tool types: Hammer, Ratchet screwdriver, Needle-nose pliers, Wrench, Safety Knife, Tape measure, Magnetic bits. The innovative design of MIIIW Tool Kit won the prize of Red Dot product design. The German Red Dot Design Award is one of the three major design awards in the world. With its innovative design of safety and applicability, its attractive appearance and high technology, XIAOMI Brand Tools has been carefully constructed for two years and won the red dot product design award in 2018. 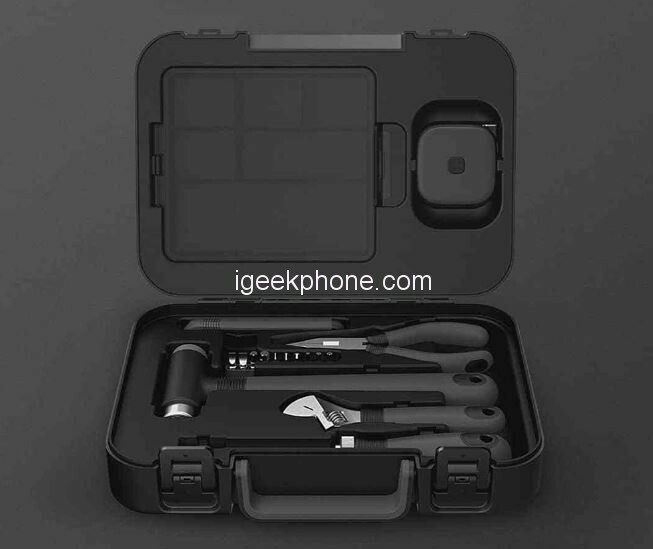 The XIAOMI MIIIW 16PC DIY Hand Tool Kit Toolbox with Screwdriver Wrench Hammer Plier is made of PP and Metal material. It is a clever selection of most commonly reached for tools used for repair and maintenance tasks around the home, office, garage and yard. This well-organized kit comes in a compact durable plastic carrying case that fits anywhere in your home, apartment, garage. 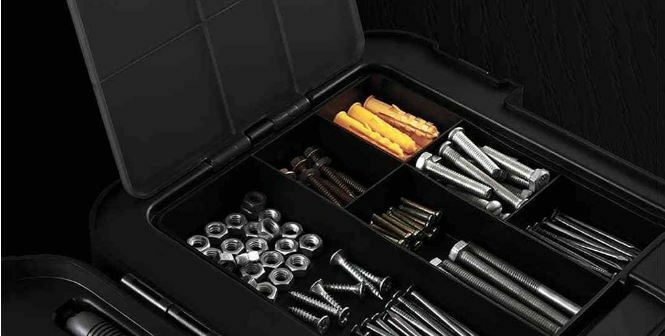 The MIIIW Tool Kit is Multi purposed, whether it is picture hanging, working with screws, cutting, measuring, and assembling furniture, this tool set has you covered. It is Handy for carry Contains tools needed for most small repairs and basic DIY projects around the house. Perfect for Handyman’s, repairmen, construction workers, mechanics, body shops etc. also a great tool set to have at home, garage and the workshop. 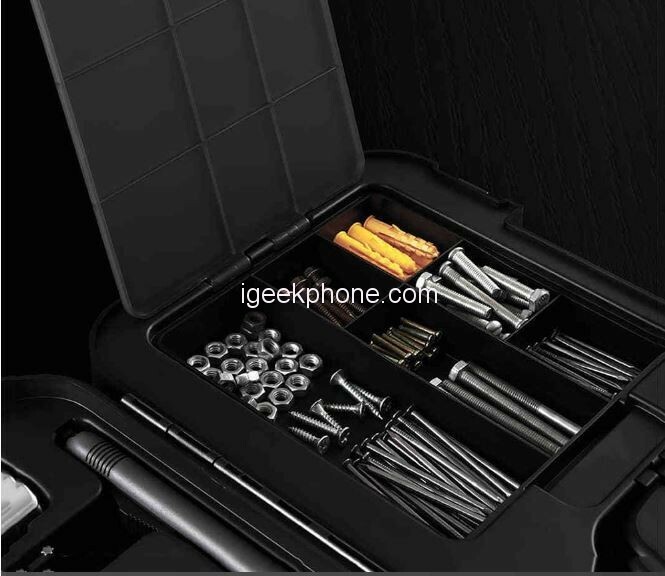 The XIAOMI MIIIW 16PC DIY Hand Tool Kit Toolbox with Screwdriver Wrench Hammer Plier is a very nice tool that should be in all house. It is currently available on Gearbest for $82.33 and with the coupon code: ALL5%OFF you can get $4.33 off.